Finding a new dentist can be a complicated process. After researching dentists near you, making sure that they accept your insurance, getting estimates for your exam, and reading all their reviews, we often forget about the entire point of that initial appointment. Your first appointment helps to establish you as a patient for that office and gets you familiar with a new staff and their general procedures. Your new dentist will likely want to complete an initial screening, review your medical history, and conduct an exam. Part of this exam generally includes a cleaning and x-rays. The cleaning is often one of the most dreaded parts of a patient’s dental visit. However, if you understand a little bit more about it, then you may find that there isn’t anything to be concerned about and you’ll also realize the importance of getting a regular cleaning. A tooth cleaning is broken down by dental hygienists into six different parts. We’ll discuss each and give a brief description of what they include. 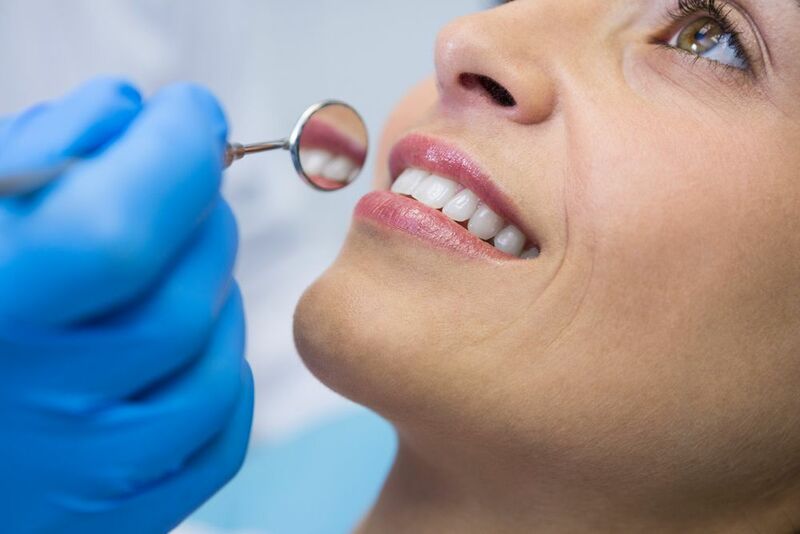 A Physical Exam – Before your hygienist starts to do anything to your teeth, they conduct a physical exam. They use a small mirror to look for any immediate issues. This includes gingivitis, significant plaque buildup, and noticeable tooth loss or damage. Remove Tartar and Plaque – Your hygienist will then use the small mirror and a scraper tool (scaler) in order to remove some of the loose buildup of tartar and plaque. You’ll generally hear the scraping sound, but this is not an uncomfortable process. The more accumulation that is on your teeth, the longer this process may take. Gritty Toothpaste Cleaning – In a professional medical setting, a gritty toothpaste is safe to use twice a year. If you try to do the same procedure at home though, you risk damaging the enamel of your teeth. Your hygienist will use a special electrical toothbrush and professional cleaning toothpaste in order to clean and polish your teeth. Expert Flossing – As your hygienist completes your flossing, they are looking for any spots that may be susceptible to bleeding on the gums and making sure to remove any of the buildup that was left behind from brushing. Rinse – Now that your teeth have been cleaned and polished and most of the debris has been manually removed, the rinse helps to remove all the fine plaque or buildup that didn’t come out before. The rinse helps to ensure that your mouth is as clean as possible. Fluoride Treatment – Fluoride treatments help to add a protective layer to your teeth to continue to protect them and keep them cavity free. Fluoride hardens when it contacts saliva, so you can consume food and drink immediately after your appointment. The second part of your initial dental appointment will often include X-rays. X-rays use a low level of radiation that helps to capture images of the inside of your teeth. These images are helpful in determining any problems that aren’t visible to the naked eye. X-rays can aid your dentist in diagnosing cavities, tooth decay or impacted teeth. Children often receive more X-rays than adults due to their rapid growth and to make sure that their permanent teeth are developing appropriately. Regular dental appointments are a critical component in your dental health. The health of your mouth also has impacts on other aspects of your body as well, so it’s important to make sure that you correct any issues as soon as possible. If you are considering a checkup, contact your dentist today to schedule an appointment. 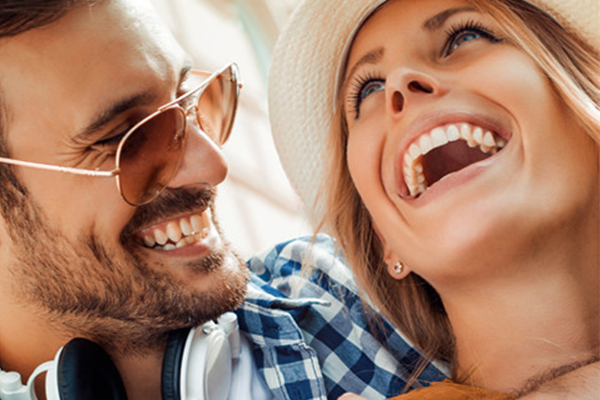 At Castro Valley Dentistry, we provide the highest quality eye care to all our patients. Schedule your appointment today.